Dutch is well-known for its verb clusters, i.e. constructions in which multiple verbs group together. This dissertation presents the most influential analyses of verb clusters in descriptive and generative syntax (transformational as well as monostratal). It discusses phenomena that are typically related to cluster formation, such as Infinitivus Pro Participio, word order variation, and the interruption of clusters by non-verbal material. Furthermore, this dissertation investigates how a corpus-based study can shed new light on the current syntactic theories with respect to cluster formation. 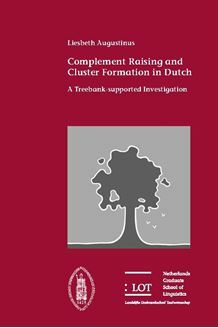 For the corpus study, syntactically annotated corpora or treebanks are used, since they allow for the empirical investigation of Dutch syntax beyond the lexical level. The observations from the treebanks with regard to the set of clustering verbs, the word order variation in verb clusters, and the instances of cluster interruption are compared to the literature. Special attention goes out to constructions containing te-infinitives, as it is not always trivial to decide whether they are part of the verb cluster or not. Based on the results of the corpus study, a novel analysis of verb clusters is proposed in the framework of Head-driven Phrase Structure Grammar (HPSG). It is demonstrated that this analysis deals more adequately with verb clusters than previous HPSG approaches. An important consequence of the new analysis is that it not only deals with genuine verb clusters, but also accounts for ambiguous constructions. In addition, it extends to the analysis of other phenomena, such as adposition stranding.